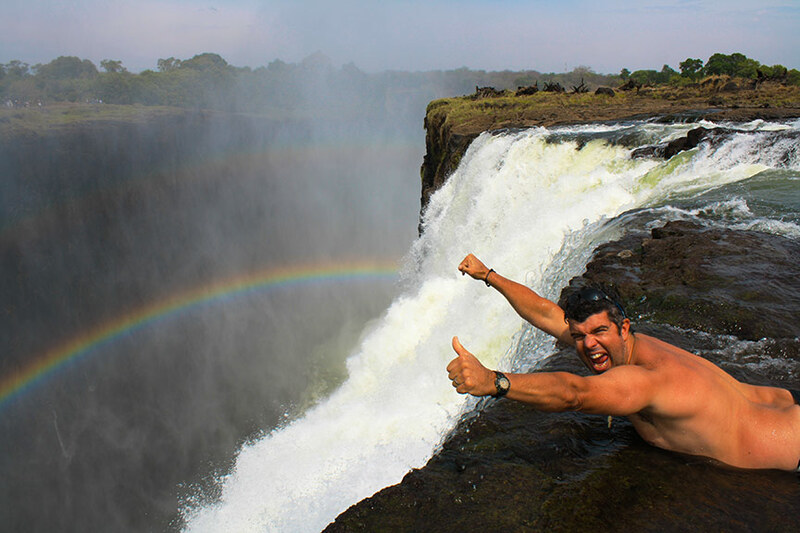 Hamish McMaster has guided more than 1,000 Zambezi River rafting trips in the past 20 years. That’s why I knew he was the best person to talk to about what makes this notorious river on the border of Zambia and Zimbabwe (home to some of the largest commercially run rapids on the planet) so special. 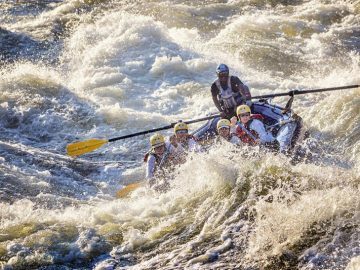 But more importantly, I wanted to find out about the alarming Batoka Gorge Dam project, which is threatening to completely take out what’s considered by many to be one of the best whitewater runs in the world. Do you remember your first descent of the Zambezi and what it was like? 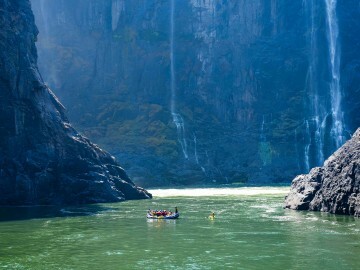 The Zambezi is kind of the ultimate of all rivers. I was out there in ’94. In those days you used to go down straight away with guests. There was no training trip, no helmets, no nothing. It was pretty full on. I remember Rapid 5, called Stairway to Heaven…looking at it from the top and going, “Wow, this doesn’t look commercial.” I just went, and sure enough, you get through. It’s my favorite river in the world without a doubt. It’s considered by many to be the best single day whitewater trip in the world, right? I don’t think it is just the single day, but that’s what gets hyped up. 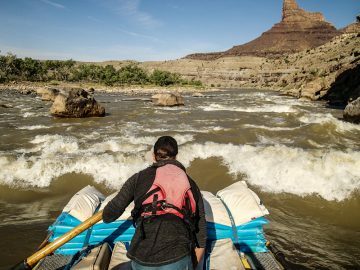 The biggest and best rapids are actually on the multi-day section. The rapids on the day trip are kind of compressed, but rapids like Open Season, Upper Moemba, and the last rapid we run before we fly guests out, Ghost Rider, are huge, absolutely huge, and awesome. It is an amazing adventure down there. A lot of people have a bit of a phobia about the Zambezi, but it is an incredibly forgiving river. So the Zambezi gets a bit of a bad rap? It’s a huge volume river. At high water it’ll run at a million cubic feet per second. When we run it at low water it’s nothing like that. But there are all these YouTube clips of carnage and boats flipping and all that sort of stuff. We might only have four or five flips in a season. Of course it does happen, and people sometimes don’t expect that, but it can be great fun. If you’re going along the big lines, and you flip, well then it happens. That’s part of rafting. 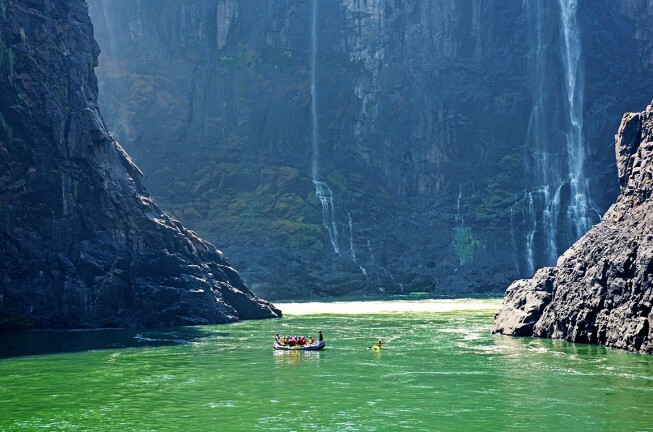 How does Zambezi River rafting compare to some of the other big rivers of the world you’ve run? It’s just so much fun. Running Stairway to Heaven the first time is like dropping off a two-story building. But it’s brilliant. The Gnashing Jaws of Death, that’s actually quite easy. It’s got a nasty name, but it’s really easy. Creamy White Buttocks, that’s number 11, has a bit of a reputation. And The Mother is really good fun because you have three Class III rapids and then a big Class IV, just a big wave train. A little bit like—actually really like—Hermit in the Grand Canyon. I can’t talk highly enough about it. I’m forty-seven years old now and it’s still the highlight of my year. But this famed stretch of whitewater might be lost forever, right? What’s going on? Tell me a little about the controversial Batoka Gorge Dam. 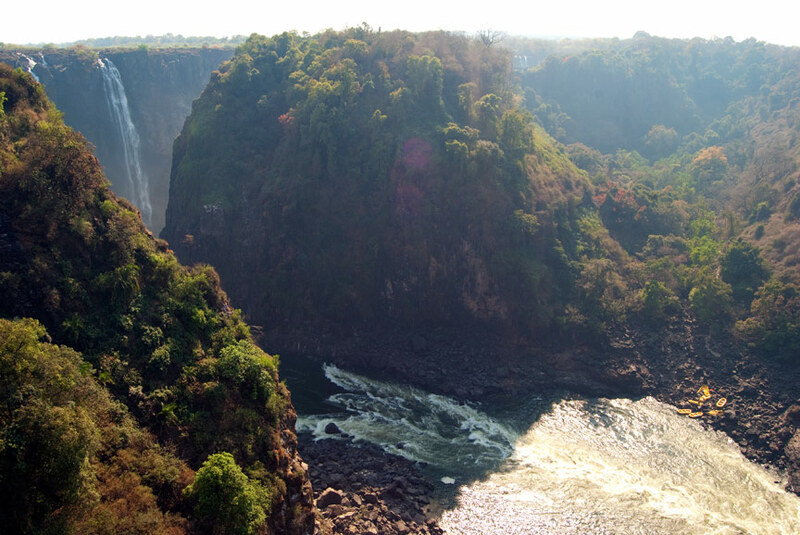 Well, first of all, it’s going ahead—a joint project between Zambia and Zimbabwe—56 kilometers downstream from Victoria Falls. It’s backed by the Chinese. They have built roads already and are planning on getting down to river level within the next two years. It’s going to be situated at a rapid called Chibango Falls. That’s just upstream from Ghost Rider, which is the last rapid of our trip. There is a little bit of disagreement about how many of the rapids are going to go when the dam goes ahead. No one really quite knows yet. Some say they are going to dam all the way up to Rapid 7, which pretty much means all the rapids would go. 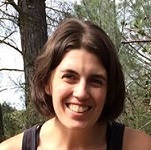 The dam company is trying to appease locals by saying that they are only going to dam up to Rapid 25, which is where they run the one day-trip to. So we’re not really sure. So what’s the timeline like as the Batoka Gorge Dam project moves forward? 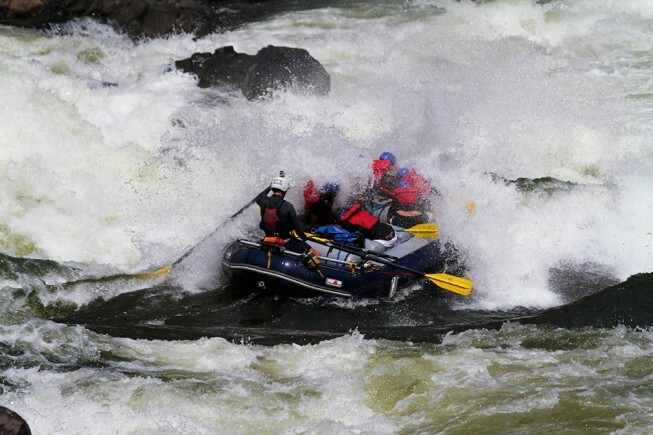 How much longer do people have to knock the Zambezi off their bucket list? 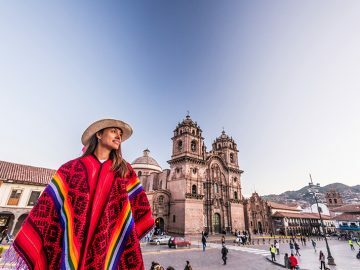 Make a donation to International Rivers, which could continue to help lobby to protect this endangered waterway with proper funding. Not to mention, get rafting! The more people that experience the Zambezi, share their photos and videos, and express their concern, the better.